Elder Carl Palmer (77) passed away March 24, surrounded by family. He was born in Nampa, Idaho, on January 14, 1939, to Luvelt and Bernice (Sheffield) Palmer — one of thirteen children. He met RowEna Hutton, and they were married October 7, 1962 in El Monte, California. 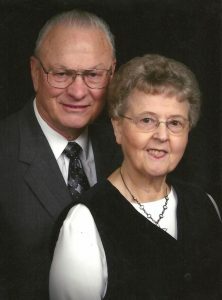 Married 53 years, he and RowEna began their first pastoral ministry in Milwaukie, Oregon, in 1965, and then moved back to Kuna, Idaho, in 1972. Carl served a lifetime in the Pacific Northwest (Meridian, Idaho; Portland, Oregon; Spokane, Washington). He pastored the Spokane CoG7 for 27 years. During those years, he impacted many people. Carl was a gentle and godly shepherd, believing a pastor should join in people’s lives, not just address them from a pulpit. He was always there for them, cutting down trees for them, pulling porcupine quills from their dogs, helping them move. He often mentioned how much he loved the pastoral ministry and could not imagine doing anything else. As a wise student-teacher of Scripture, Carl was among the first CoG7 ministers to champion justification by faith — that salvation is through the grace of God alone and received by faith in Jesus Christ alone. As a church administrator, Carl used his genial manner to build harmony and fellowship among members, leaders, and churches — especially where opinions varied. When a church board was distracted or caught up in stressful moments, Carl would often help refocus, clarify, or offer a missing perspective. He was a man of integrity: The Carl you saw at church was who he was everywhere. Carl possessed an amazing gift for growing gardens and sharing their bounty. He was known for his blackberry patch and the huge, delicious berries it produced. He especially enjoyed spending time with his family, going camping and playing games together. Carl was preceded in death by his parents and brother, Raymond. He is survived by his wife, three children: David (Janet) Palmer, Carla (Steve) Decker, Karen (Ben) Edwards; nine grandchildren; twelve brothers and sisters; and numerous nieces and nephews.